Looking for a showcase for all your favorite reads, awards and pictures. 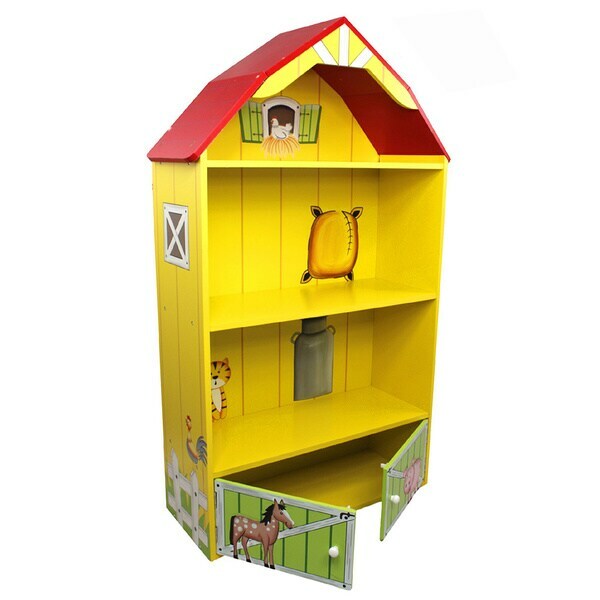 Look no further than Fantasy Fields's Happy Farm Barn Bookcase. Designed with a southern feel and hard carved to look like storage inside a barn, this is the perfect addition to the farm collection. Beautiful peak roofing makes your barn bookshelf come to life and feel as if you are spending the day at the farm. Convenient storage below makes for handy space for storing keepsakes and memorabilia.